Every shoe, sequin, orchestral part and lighting gel comes at a price. And without skilled footwear supervisors, workroom managers, armourers, music librarians, stage managers and technicians, no production would reach the stage. That's why the £26 million you contribute each year, through donations small and large, is so important. 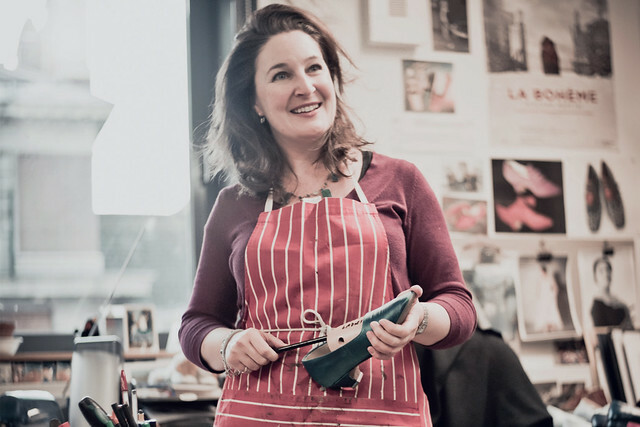 Whenever you make a gift to the Royal Opera House Covent Garden Foundation, become a Friend or Patron or leave a gift in your will, you play a crucial role in creating extraordinary performances, outstanding craftsmanship and inspiring learning and participation projects. "My grandfather was a master cobbler and I have always loved shoe design so working here feels completely right to me. Particularly now, having worked here for more than 12 years, I have a very strong sense of what will work and a great rapport with the performers, knowing their various footwear tastes and quirks!" From Principal Singers to the Youth Opera Company, everyone who takes part in Royal Opera productions comes through Ron and Cheryl's door, and each has to leave with the correct footwear. With so many sizes and period settings required across the Season, the department is extremely busy. Your support could make a very practical difference to their work. Everyone has a part to play. Play yours today. Donate now. Yes, I want to Gift Aid my donation made today and any donations I make in the future or have made in the past four years. I am a UK taxpayer and understand that if I pay less income tax and/or capital gains tax in a tax year than the amount of Gift Aid claimed on all my donations in that tax year, it is my responsibility to pay any difference. I will notify the Royal Opera House Covent Garden Foundation if I want to cancel this declaration, change my name or home address or no longer pay sufficient tax on my income and/or capital gains. To find out more about our work, please see our Annual Review.